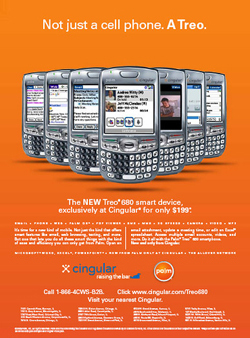 According to a legitimate-looking marketing presentation, here are Cingular's latest release plans for the Treo 680 and Cingular 8525. Unlimited data plans take about $100 off the price (rebate). Unlimited data plans take $50 off the price (rebate). Anyone out there who works at Cingular feel like confirming/denying?